Ontario Adventure Guide and Map If you are planning a Canada walleye fishing trip, there’s no better place that Northwestern Ontario.The Travel Region called Sunset Country is located in Northwestern Ontario, Canada. We are bordered to the south by Minnesota and to the west by Manitoba. Our eastern border is just west of Thunder Bay. 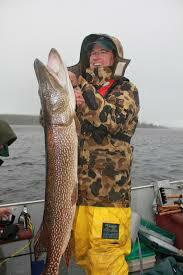 You can be fishing for walleye in less than a day’s drive from many major centres in the U.S. and Canada. International air flights are available through Minneapolis, Thunder Bay and Winnipeg, where you can connect with regional flights to Sunset Country. The following map shows where the different cities and towns are located in Sunset Country. For a more detailed map, you can also order our Free Vacation Guide that includes a pull-out map to help you plan your trip. 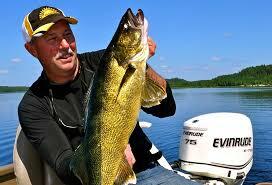 You can download Ontario fishing regulations for walleye from the Ministry of Natural Resources. The Sunset Country Travel Association is also an authorized dealer of Canadian Government Maps. Topographic and Angling Maps and Hydrographic Charts are available. Once you’ve decided to visit Sunset Country you have several options available for getting here and for travelling within the region after your arrival. You can fly direct from just about anywhere in the U.S. to the major centres of Winnipeg, MB or Thunder Bay, ON and connect on Bearskin regional flights into Sunset Country. Local Air Services are another great option for getting around the region. The combination of regular international flights with convenient regional connections means you can leave from just about anywhere in the continental U.S. in the early morning and be fishing on a wilderness lake in Northwest Ontario that evening – it doesn’t get any better than that! Once in Sunset Country, you can rent a car, or for large groups, charter a van or bus and then travel on paved highways to your destination. There are many businesses in Sunset country that will cater to your transportation needs. In many cases, the resort or lodge you’ll be staying at will pick your group up at the airport and drive you to your destination. For those traveling in their own RV or automobile, the major border access points from the U.S. are at International Falls, MN via US Highways 53 or 71, at Baudette, MN via Minnesota State Highway 11, and at Pigeon River via Minnesota State Highway 61. Call us or the lodge or hotel where you are staying and we can help you determine the best route from your location. You could also contact local travel agencies and have them book your flight and travel arrangements. If you would like to receive additional information in the mail, just click on the link below to order your FREE Ontario Sunset Country Vacation Guide and Regional Map. The Guide is loaded with information and includes a series of maps for each Sunset Country community! Our wall-sized Regional Map shows the entire area – including towns, cities, highways and lakes. The map includes location dots of all our accommodation members and an index on the back showing you the amenities each has to offer. You’ll also find a detailed list of retail and services business, local tourist organizations and municipal offices – a great tool you can use in planning your vacation to Northwest Ontario.